About: Khan Academy is an online tool utilized by educators throughout the world that gives teachers and students opportunities to learn and educate outside of the classroom. Utilizing video tutorials and practice, Khan Academy will serve as an essential for students who require additional instruction and reinforcment of skills. 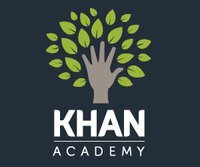 Khan Academy is constantly expanding and growing and now provides video lessons and even practice in Math, History, Science and various other subjects at all levels. About: ixl.com is an online math program that allows students to practice math from Pre-K all the way up to Algebra. TLC is offering an ixl.com account to any student who wants to use it, ask your EP for details at your next meeting. About: Ten Marks is an online math practice and tutorial tool that is being used this year for middle and high school level TLC students. Talk to your EP if you are interested in using tenmarks with a free TLC subscription. About: AR BookFinder can be used by parents and students to find books that are avialble in the Accellerated Reader program. Once a student searches a book on the list they can then complete a quiz checking for comprehension and effectively gauging the retention of information from the book; this allows the EP, parent and student to see what level the student is reading at. How to Use : By connecting to arbookfind.com, you can use the advanced search to enter in criteria to narrow your search results. You must enter both a grade level and an ATOS 2000 book level: just enter the approximate grade level from the Zone of Proximal Development (ZPD) that your student scored on their benchmark assessment for the ATOS level (Example- 6 to 9 for a middle school student would be ranging grade 6-9). About: PBS offers a ton of educational support, information, videos, and even lessons coevering educational topics in social studies, science, current events, as well as arts and so much more. Familiarize yourself with PBS and utilize its educational benefits regularly to give your students an opportunity to research and investigate topics they want to learn more about. This is a perfect site for parents who want to creatively develop a lesson but may need some background or ideas for lessons. There are full (teacher made) lessons available here, use them to your advantage, no sense in starting from scrath. 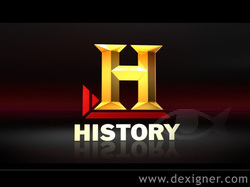 About: The History Channel does a good job of providing students with educational videos to watch to either supplement the history/social studies topics they are interested in, or it can serve as a lesson on its own. TLC depends on maintaining high levels of attendance, so on days when students or parents are not feeling well, this is a easy default option that anyone can enjoy and learn from. Be aware, this is a cable network, so be sure to check the rating on each video to be sure it suits your students age, not all shows on the History Channel relate to social sciences, choose wisely. Many of the videos from The History Channel are also available in segmnets on youtube!!! About: World History For US All is a growing online curriculum that is comprehensive and entirely free. With large thematic units and close up investigations, the curriculum is great for either classroom use or independent study. It is designed for high achieving middle school and even AP high school students because of its use of academic vocabulary, although the concepts covered are reachable for all middle school level students. The curriculum ties together the chronology and the major comparative themes of history in a spectacular way. Starting with theories of creation and moving all the way up to the present day technological revolution, Wolrd History For Us All is what Mr. White will be using as the core text of each weeks unit for home study reading and active academic reading note. However, class lessons may deviate slightly from the content being covered in class depending on which unit is assigned. We simply do not have enough time to teach it all, although we wish we did. This site is a go to for Social Studies/Social Science teachers internationally. It includes a plethora of sites, lessons and resources. Odds are you will be able to use this for any subject in the social sciences from geography to civics, economics, US History and whatever else you might be able to think of! For students taking Spanish using the Buen Viaje! Book, email me your scores for tests and quizes as you progress with each chapter.